All filter socks and bucket filters are sent by Royal Mail First Class Recorded. Postage is included in the "Buy Now" price. Please enquire about international postage before purchasing. Please specify which micron rating you want to order on the PayPal note. 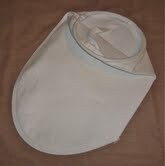 A re-uasable/washable bucket filter which fits into a standard B&Q bucket. Ideal for course filtering vegetable oil as part of your purification process. 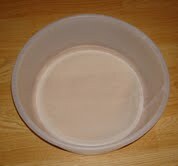 It measures 12 inches diameter and 4 inches deep. 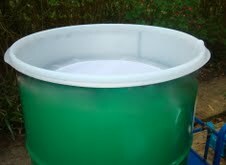 This reusable/washable filter is ideal for coarse filtering your veg oil directly into your settling tank. The outer diameter 590mm . This item is delivered by courier which is included in the "Buy Now" price.